Dyslexia and the new super roles: The perfect storm? Fast internet – great. But, of course, the key is still that there must be a teacher there who understands dyslexia and knows what apps would be best for the student. The internet without the expertise is of limited use. BYOD – great. So long as all students have access to a device…..
… and I agree dyslexic students need better support and changes need to happen. But I’m not sure how DFNZ sees the new roles as supporting this. Does the Dyslexia Foundation really believe current government initiatives will “improve leadership and retain great teachers”?Because that’s not the feedback I am hearing. In fact, teachers are saying in their droves they have had it up to the back teeth with the constant reforms hitting the wrong areas and that special needs students are being let down badly by the system. DFNZ seems to be unaware that key sector groups are being given incredibly limited say in the roles and that the bones of them have been set by government and are not up for negotiation. Maybe they could watch and think about this video, which shows that the principals will be chosen by government not by the education sector. And the roles themselves are to be driven by “achievement”, by which the government mean more National Standards and NCEA results. But they have. Unwittingly, maybe, but it doesn’t change the fact that their email essentially shows they are in support of proposals and roles that are to be underpinned by test results, which for primary schools is National Standards. That would be all well and good if NS helped students. But having ‘Standards’ for reading and writing does not help teachers do any better job of teaching anyone let alone special needs students. Nor does it help students learn better. Teachers already had, before National Standards, plenty of benchmarks and rubrics to refer to. They already undertook regular testing to check where students were and what to teach next. Sadly, all National Standards has added is more admin (oh the teacher hours inputting the data), a stick with which to beat schools via league tables, and another damaging label for those most in need. (p.22) Research, Analysis and Insight into National Standards (RAINS) Project: Final Report: National Standards and the Damage Done, Martin Thrupp et al. Entrenching National Standards further is counter-productive to the goal of ” personalised teaching, multi-sensory and experiential learning, and the opportunity to present alternative evidence of achievement instead of standard written material” that DFNZ wants. When grades are given such a huge focus, especially at primary school level, the focus inevitably drifts to getting those just on the cusp of ‘passing’, up and over that threshold. Those deemed to have no hope of getting above or well above often end up faring worst of all. That shift is not always done intentionally, but it happens. Is that really a perfect storm? Or just a storm? What teachers want is time, resources and support to improve their own understanding of dyslexic and other special needs students. Less admin and hoop-jumping for teachers, so that there is more time to plan and implement targeted and individual learning for all students. When I was teaching dyslexic students I had none of that and was left to do what I could by reading up online and learning on the fly. Other teachers told me they were in the same boat. And since I have been out of teaching, I am told things are far worse, with parents and teachers constantly upset by having to fight to get support and help for students, end even then they nearly always end up with nothing. Hey, look, The Dyslexia Foundation know all of that already, they know that more support and training is needed, and they do a brilliant job advocating for that. They are great, and I applaud their advocacy for dyslexic students and families. Why they seem so supportive of the super roles, however, remains a mystery. « Just when did teachers become the enemy? 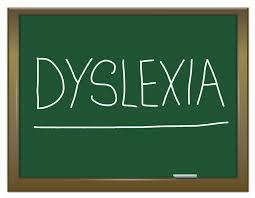 It isn’t unusual Dyslexia about being dyslexic, dyspraxic or a person with ADHD and dyslexia. Roughly 10% of the population will have a learning difficulty. All these people want to learn, work and be accepted by people. Dyslexia isn’t just a label, it is a lifestyle. Dyslexia is as old as humankind. It is a known fact that people from all nations have dyslexia, it isn’t just for Europeans. Roughly 150 years ago, education was for the privileged few. The dyslexic gene is inherited. Many of these students left school as soon as they were able and went into practical employement. Things are different today. Dyslexia, dyspraxia, dysgraphia, dyscalculia, ADHD and other learning difficulties on various spectrums have not been addressed in educating teachers to identify, help, how to accommodate and so on. In recent years as a trained SPELD teacher and secondary teacher for 30+ years, I was very disappointed when, in high schools, I was able to identify students who had not been identified with learning disabilities, but teachers were too busy to do anything about it. In fact, one teacher told me ‘he was not a primary teacher, it was their job not high school teachers’ or they didn’t want to know. RTLBs seem to be very precious about their area. I volunteered at the local primary school to help, but the principal told me that is the RTLBs job and they resented anyone coming in with knowledge to help. Great isn’t it. Two sides to a coin! What about the use of the ‘Siri’ Apple voice recognition programme. If the child had no arms or suffering from cerebral palsy, this would be the perfect programme for him/her to use and to be able to achieve. We are now in the 21st Century, computers is an everyday part of people’s lives, pupils of five come to school very conversant with the use of computer. I remember the first man landing on the moon – 1969 – one small step for man, one small step for mankind! I believe one huge problem is that the above mentioned disabilities, parents are required to pay tutors, put their children into courses which charge huge fees for something that has been inherited! The Ministry of Education should be employing specialists to (a) use assessments e.g. Woodcock Johnson III, (b) have a trained Woodcock Johnson assessor at each school and have trained specialist teachers to work with these students. A student with near sight, disabled, one arm etc., will get aid, but hello, not students who are dyslexic, dyspraxic have dyscalculia or dysgraphia just to mention a few. The MOE needs to wake up if we want to educate our students into being successful, not failing, not having low self esteem, unemployed or worse in prison. A good book to study/read is “That’s the Way I think ” Dyslexia, dyspraxia and ADHD explained. Written by David Grant.